These days in Quebec, it seems like a perfect time to reminisce about the past. 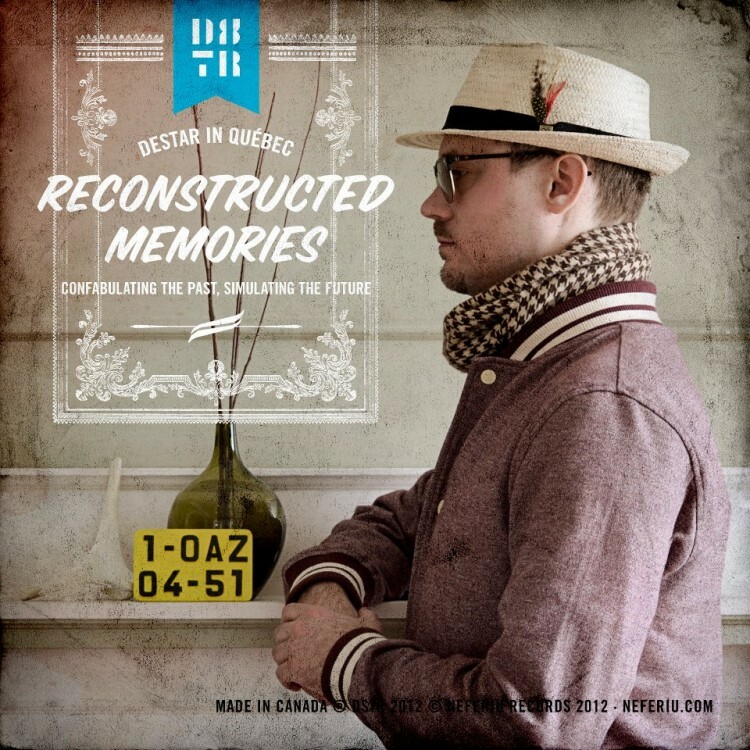 You could think that the second album from DSTR, called Reconstructed Memories which is made from sampling of Quebec recordings spanning from the 50’s throught the 80’s is a little gimmicky. But that would be without considering that the ambitious project was started some years ago, well before any social troubles indicate timely relevance. Listening to the album, I thought about Onra sampling his cultural roots to make his two Chinoiseries albums. The eastern europe sampling Dr. No’s Oxperiment from Oh No is also another exemple of a targeted cultural audio experiment. More in the concept then in the sound though because the sound of Destar‘s first album, Chopped Suite, is closer to those albums then this one. What makes this album interesting, and beyond a simple remix compilation is that all the original sources of the sounds are unrecognizable and the tracks sound like original music. There is definitely the same Destar feel that was one the first album. The same attention to details. In that respect, he is the best beatmaker for this kind of project. I’m pretty honored to be his label mate on British Colombia’s Neferiu Records. I made this mix of some of the tracks of the album. You can get the album in digital form on Neferiu’s website for a measly 5$. I would love an LP version of this (and Destar probably is also because of the perfect lenght for a double LP of the album at 75 minutes).